Chaos gives rise to order; Fear gives rise to courage; Weakness gives rise to strength. Are you stressed by requirements and expectations from others? Are you facing difficult choices and feel the uncertainty? Are you tapped for energy because of problems in relationships? Sometimes we need external help to reverse a negative trend. 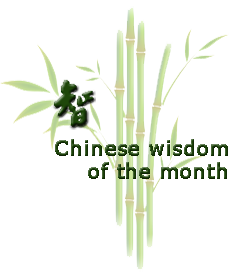 Yin Yang Coaching combines the Chinese Yin Yang balance perspective with coaching methods and helps you to regain balance. Instead of focusing exclusively on ”me” and ”my resources”, Yin Yang Coaching emphasizes balance between “me” and “others” and balance between ”acceptance” and ”change”, because we are dependent of others, and because change begins with acceptance of who we are and how life has been. Master of Philosophy, NLP coach, lecturer and writer. Cong was born and brought up in Beijing. She has dedicated to Chinese Culture and Philosophy in recent years.